The days of Mac being synonymous with no-good computer games are long over. With the evolution of the iPad and the serious advances in app games, everybody is playing something. From Fruit Ninja to first person-shooters to Little Digits (an app that teaches toddlers to count), there’s something for everybody. 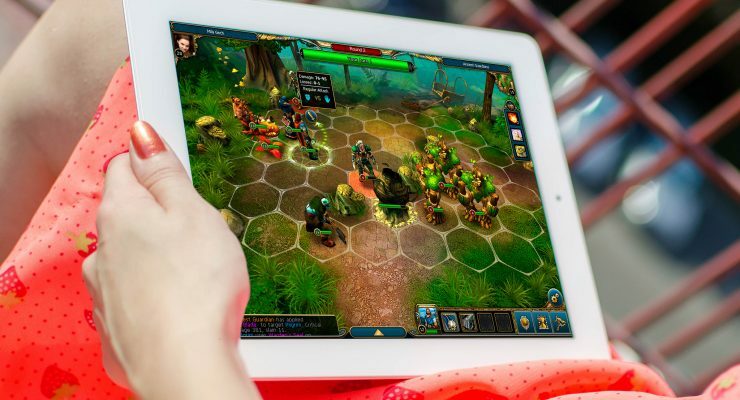 iPad gaming accessories have become more prevalent in Apple stores. They used to be tucked into a back shelf, next to the robots but now (at least in the Apple store in my neighborhood), they’ve taken the main stage. 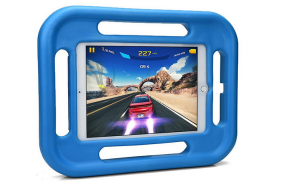 Here are a few iPad gaming accessories that you need if you (or your kid) is a serious gamer. 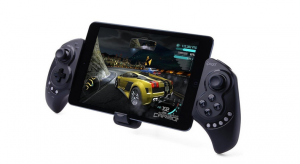 The Gamevice controller for the iPad Mini seeks to emulate that classic controller feel we grew up with. Joysticks on the left, four buttons on the right. If you’re a serious iPad gamer or even just somebody who loves to kick back with a game of Call of Duty or NBA 2k15 then this is the piece for you. The Amazon reviews rave about the product. The only complaints come from owners of an iPad Mini 4 who say that it doesn’t fit well with the thinner tablet. The Cooper Grabster case is ideal for those of you who are looking to pick up an iPad for the little one. The handles on this are built for smaller hands and are made of a tough rubber that will stand up to a fall. They even advertise that it’s child-safe which means that if your kid decides to chew on it, nothing bad will happen. The raised case keeps the kiddy-grime from becoming too much of a problem. 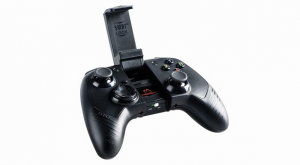 The MOGA Rebel controller is designed for the iPhone but a number of reviewers have raved about it being one of the best controllers on the market for the iPad as well. The controller has a long battery life and is built for iOS devices so you don’t have to worry about that pesky bluetooth pairing that’s the downfall of controllers built for a number of different devices. It’s a little pricier than some of the other controllers but it’s also got the highest Amazon review ranking on this list. 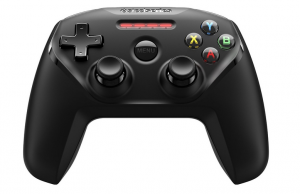 The SteelSeries controller is specifically designed for Apple devices. That includes not only the iPad but also the iPhone and the Apple TV. It’s an easy controller to jump on board with if you played video games as a kid. And if you’re thinking about playing games on your Apple TV, it’s a lot more gaming-friendly than the Apple remote. The SteelSeries is carried at a lot of Apple stores and users have reported very positively on the connection and the quick charge. The iPega controller is a bluetooth controller. Since is built to work for a number of different devices (including tablets by other brands), it’s adjustable. A lot of the reviewers state that this seems to be built for the iPad but some others have complained that the bluetooth pairing isn’t always up to par. It’s one of the cheapest controllers on the market at under $25 so if it’s not perfect, you’re not losing too much. The iPad and the iPhone represent hardware that have bridged generation gaps more than any other technology before them. Business-minded parents now have their own iPads that their children are getting their hands on every chance they get. These controllers are built to be portable, perfect for slipping into your backpack for that long car or plane ride.